Years ago I had this authentic rustic dish in an old converted farmhouse restaurant near Turin. It was a very local place and didn’t look like much, but it was packed with truck drivers and a beef roast was cooking in front of an open fire. They collected the drippings in a pan below the roast and then used them to toss with the pasta. I still remember it as one of the best things I’ve ever eaten. It was called Taglierini al sugo d’arrosto. There are many recipes for it, but how do you make it if you no longer eat meat? Well, when I found this Spaghetti with Marmite on Nigella Lawson’s blog, I thought this would be great place to start recreating the sugo d’arrosto. With some minor changes and additions it came out absolutely amazing. Basically, we are recreating a roast beef flavor using Marmite, garlic and rosemary. Note: This can easily be made vegan by replacing the butter with Earth Balance and the cheese with non dairy Parmesan. Start the water for your pasta. 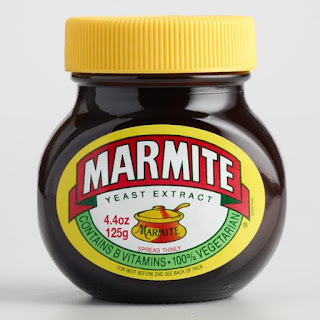 You are going to salt the water, but only about a third of the normal amount, as Marmite is quite salty. Add your pasta to the boiling water and then begin your sauce. Melt the butter and olive oil in a small sauce pan. Add your crushed clove of garlic, rosemary, black pepper and your Marmite and gently simmer. 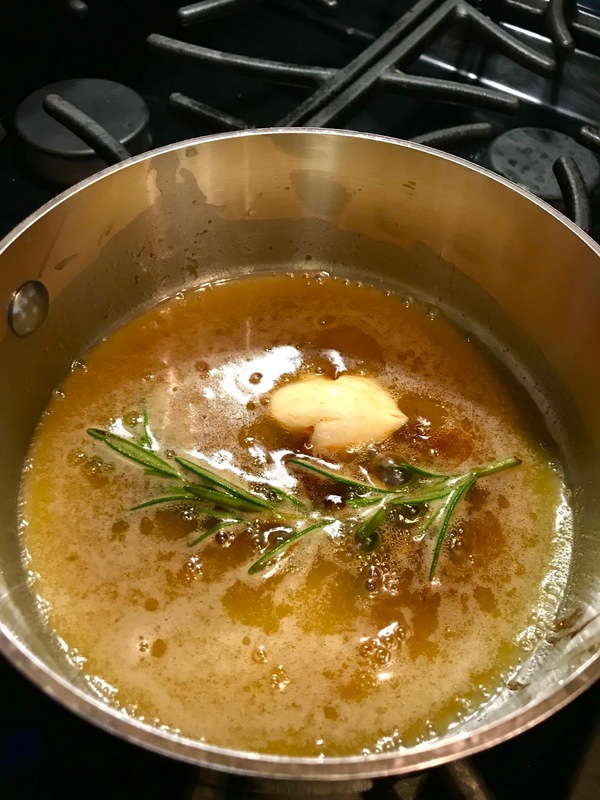 Just before using, remove the rosemary and garlic. When your pasta is about two minutes from being finished, siphon off some of the pasta water with a Pyrex measuring cup. Then drain the pasta and put it back into the still hot pan, add your sauce and a bit of the pasta water and cook it for an additional two minutes, adding additional pasta water as needed until the pasta as well coated. Sprinkle with Parmesan cheese and serve.